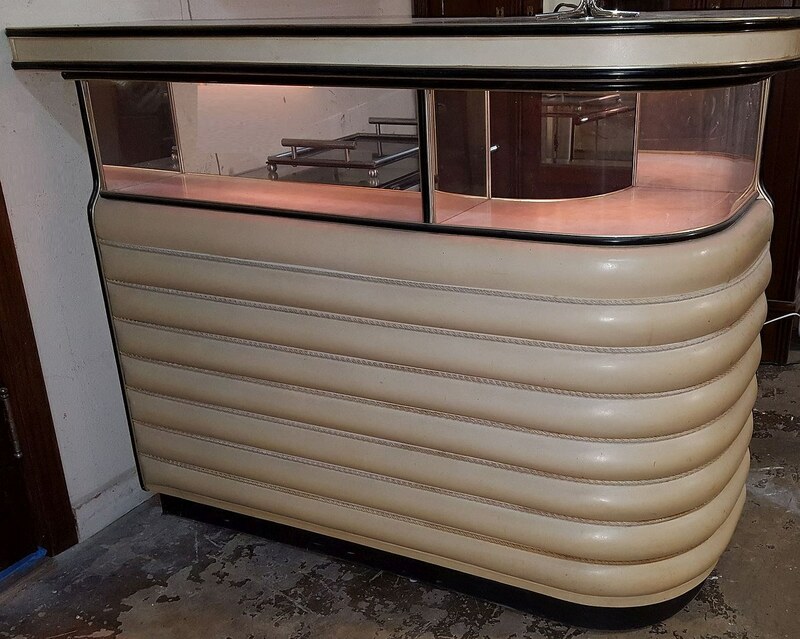 Rare 1940's Art Deco padded stand up bar with matching wall hanging back bar. 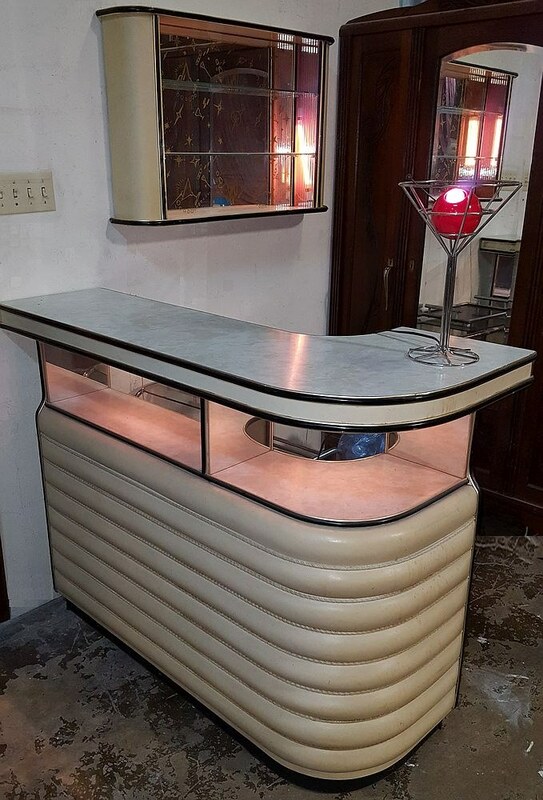 One of the most unique and functional vintage Art Deco stand up bars available in the nation. Very engaging with its curved design. 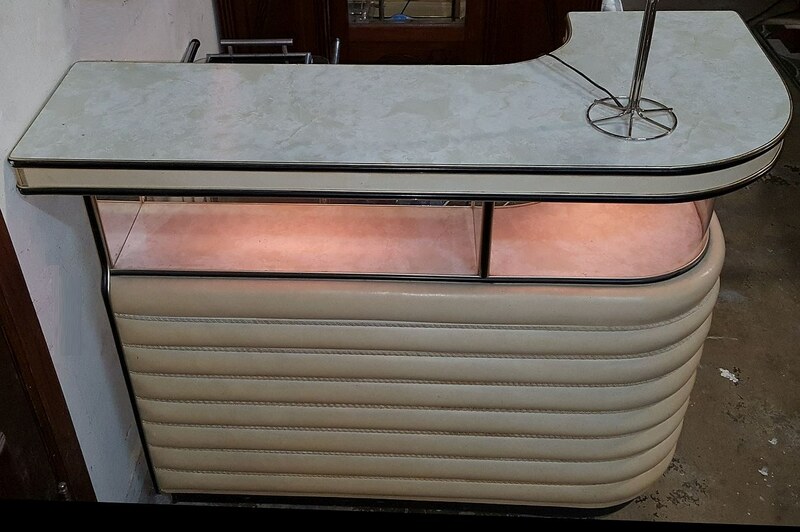 The stand up bar has its original ivory naugahyde covering with ivory rope welt separating the curves. 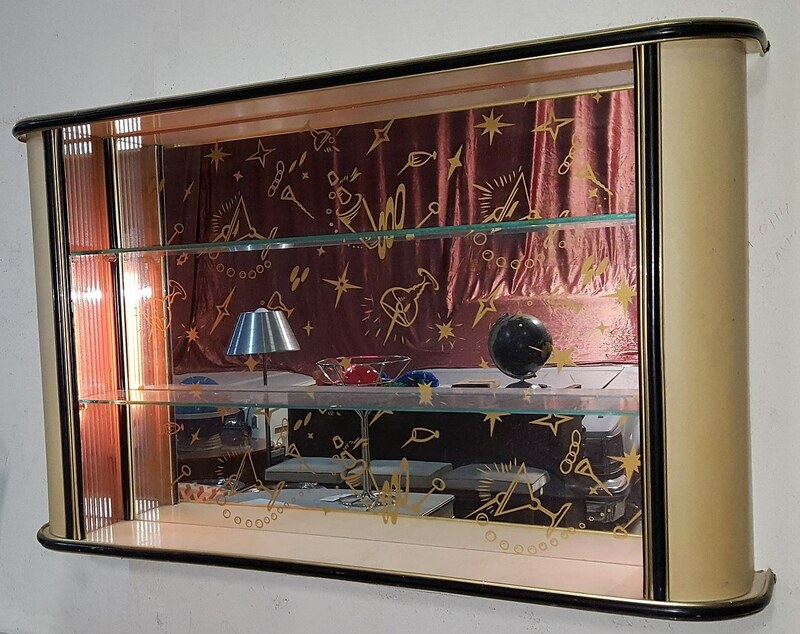 A great display area stretches the entire length and curvature of the bar with its original glass. The display area is illuminated with two original lamps with their respective on-off buttons. 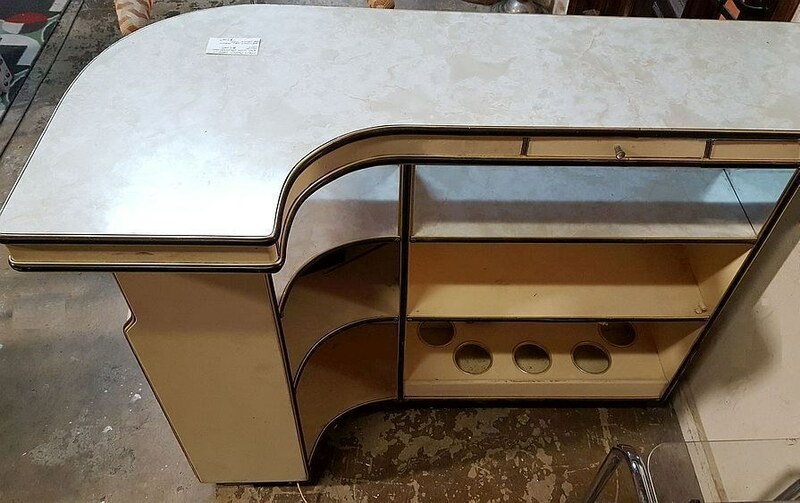 The bar service top is the original formica in a marbleized design. Three shelves provide a very large amount of storage for liquor and barware. A bar service drawer is provided as well. An incredibly unique matching wall hanging back bar completes the look. 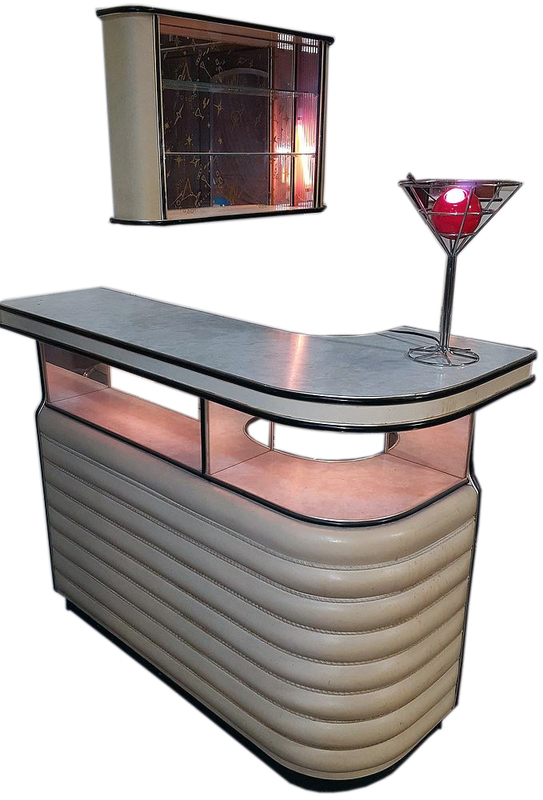 The back bar features a phenomenal original reverse painted stylized bar scene mirror on the back with two original lamps oriented vertically behind the original frosted and textured glass panels. Three shelves, two that are the original glass, provide plenty of storage and display for your favorite barware. 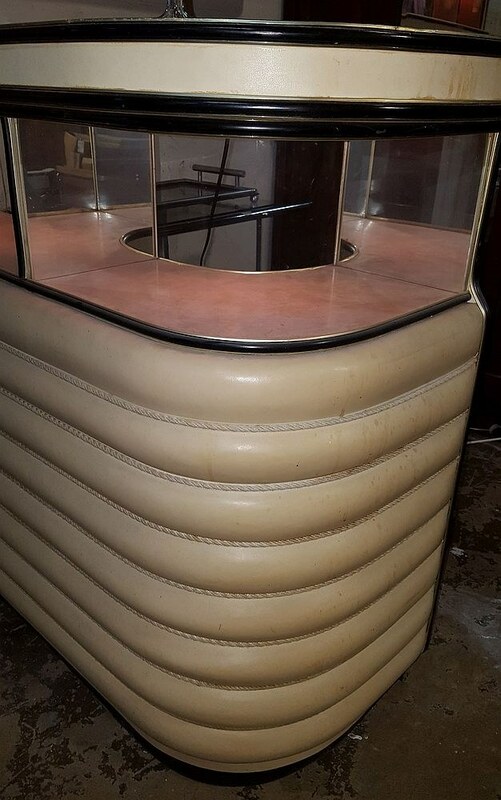 Dimensions of stand-up bar are 54" wide x 42" tall x 24 1/4" deep. Dimensions of the matching wall hanging back bar are 38 3/8" wide x 23 3/4" tall x 7 1/4" deep. Price indicated is for both stand-up bar and wall hanging back bar.